Watch this powerful video to learn WHY we should focus on prevention. October is Breast Cancer Awareness Month, and with approximately 1 in 8 U.S. women developing breast cancer over the course of their lifetime, we have all been impacted by this disease; whether that be through a personal diagnosis or one of a mother, sister, or friend. We are all aware of Breast Cancer, now let's shed some light on how we can help prevent this disease. Globally, breast cancer affects more women than any other type of cancer and is the leading cause of cancer-related deaths among women. However, only 10% of breast cancer can be attributed to genetics, which means the majority of breast cancer is related to things we can change, like our environment. For this reason, Crunchi will be partnering with Breast Cancer Prevention Partners (BCPP) this October in honor of Breast Cancer Awareness Month. BCPP is the leading science-based policy and advocacy organization working to prevent Breast Cancer by eliminating exposure to toxic chemicals. You can learn more about BCPP and their mission by visiting their website, BCPP.org. Throughout October, we will be donating $3 to BCPP for every "Blissful" Luxe Lipstick sold through our website. We are honored to partner with BCPP to spread the critical message of prevention through safe beauty. Please join us in supporting this incredible cause! 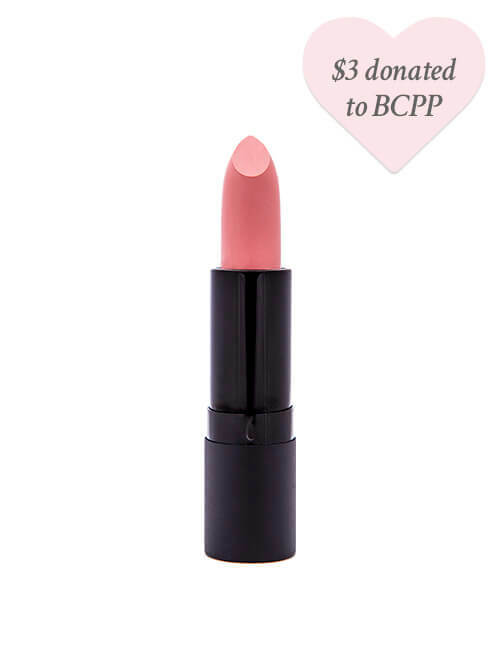 Click here to purchase “Blissful” Luxe Lipstick, and we will donate $3 to BCPP.